Do you take hours to decide between two brands of baked beans in the supermarket? Talk about deciding one flavour to have in an ice cream parlour with 31 different options or even choosing the shirt for the day? Hey Mr Indecisive. The Marin Gestalt is for you! A rare breed to see in India, gravel bikes have long been popular now in the west and for all purposes practical for our conditions. At first glance, it’s a road bike. Drop bars. Carbon fork. Then you see the tyres are like a cross bike 30c with room for much more. Cable operated Disc brakes. Then you’ll notice the front derailer is missing. And the rear cassette has gear as big as the chainring. The rear derailer is from a mountain bike! Is it a mess or does it all come together nicely? There is a particular scenario where this combo works best. For many, this combo in their minds doesn’t work. But before you take a call, ask yourselves. Why do you ride a bike? Do you want to explore new roads? Go to lonely spots for a secret view? Maybe enter a race or two for the spirit of participation? Commute on a bicycle? Go fast? Do long rides? Maybe explore that dirt path in the forest that looks so inviting? Go on a weekend tour? If the answer to these questions is a stern ‘yes’ then this bike fits your needs perfectly. But if you want to win races off or on road or go on a long self-supported tour. Look elsewhere. At 10.5 kg in size 52cm, it’s lighter than many entry-level road bikes. Weight won’t be your concern if you plan to race on this. Frame The aluminium frame is fairly manipulated. The position is not upright in the world of road bikes. And it’s pretty agile and eager to turn in the corners as we zoomed down the Lavasa ghat at 60kph. It also means it’s not the most stable in a straight line. The ride isn’t butter smooth either. 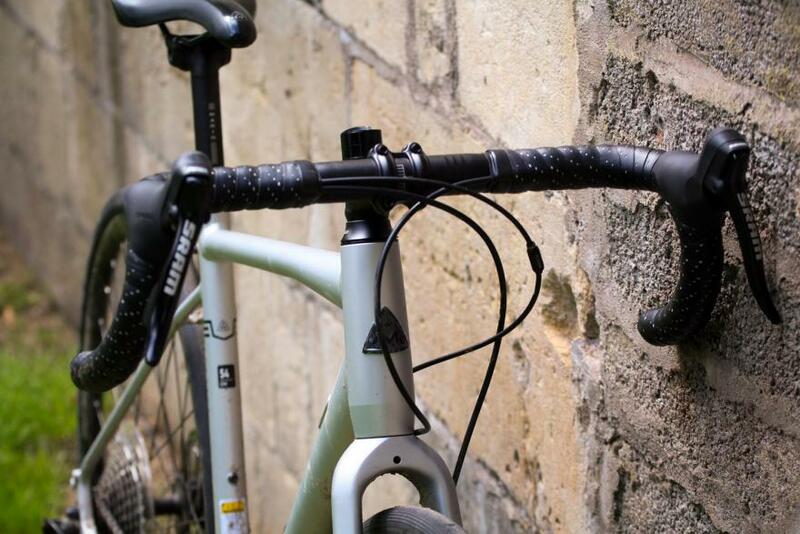 As a gravel bike, if you plan to take it on hard irregular surfaces (broken tarmac ) it will shake you. And after 30km or so your joints will pain. The frame has two bottle cage mounts, fender mounts and rack mounts only on the rear. The brake calliper at the front makes fender installation a bit of a hassle. The rack mounts are positioned well and have no issues. The apex shifter on the right hand is what you might call industrial in feel. Looks sleek though. The click is definitive. It takes time to get used to the shifting. Single click for shifting to next gear. And a deeper press with two clicks to shift to previous gear. After using it Shimano controls feels alien. In shifting department this bike is minimalistic since there’s only one shifter, operated by a single lever. Not much to think about. On the left is an SRAM brake lever. 42t chainring with 11-42 cassette. The highest gear limits your top speed and you spin out on descents. The climbs are your best friends though. A 1:1 ratio is lower than any road bike. Spin easy settled in your saddle on or off-road while others have to bash out of the saddle. Of course. It’s not as low as a triple or an MTB. However, the Marin Gestal 2 2018 does come with the double chainring. Check it out here! The SRAM X7 derailer is a charm. You get used to the silence of the drivetrain and then the clicks of other roadies irritate you. All thanks to the roller bearing clutch inside. It also keeps chain slap away as you abuse the bike on rough patches. With 10 speeds, you will find sometimes not having the perfect gear for your speed and cadence. Does it matter while having fun? No. During The Marin Gestalt 2 Review, we experienced that the chain sometimes falls off the chainring while on moderately bad roads. But has no problem with off-road trails. It’s difficult to figure out why. The dirty drivetrain is definitely one reason. And excess lube. (Found it. A worn chain ) But a chain keeper should be installed. Having done a lot of climbing around Pune, we did have the opportunity to properly test them. And the feel of the brakes isn’t the best. 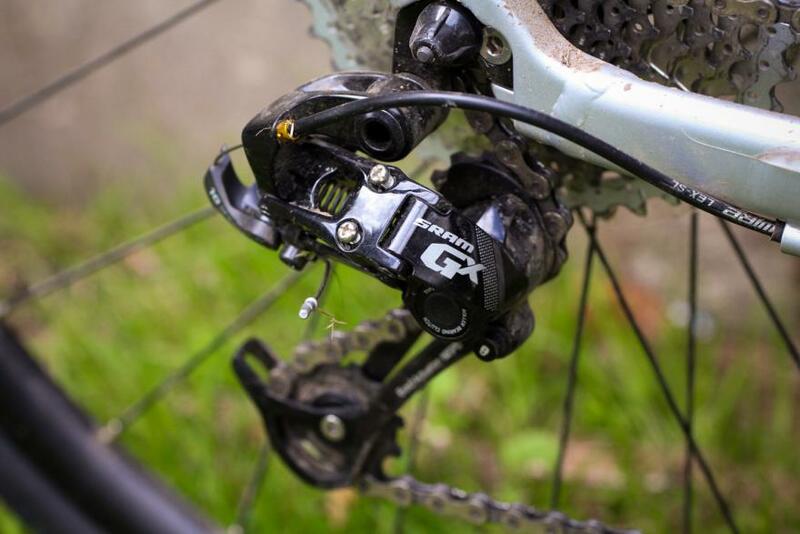 During The Marin Gestalt 2 review, we felt that the calipers are some of the best, used in many pro cyclocross bikes, so it’s probably the levers or the cable routing that aren’t up to the job. Don’t worry, they will stop you rather well. They just don’t feel like the cable discs on mtbs let alone the hydraulic ones. Spongy feel and they don’t bite either. On long descents and hairpins, they performed well, you could brake at the last moment and best of all the pads lasted around 3500km which I’d say is the best thing compared to rim brakes. The next best thing is that we had never had late response while descending Lonavala ghat in wet and muddy conditions. 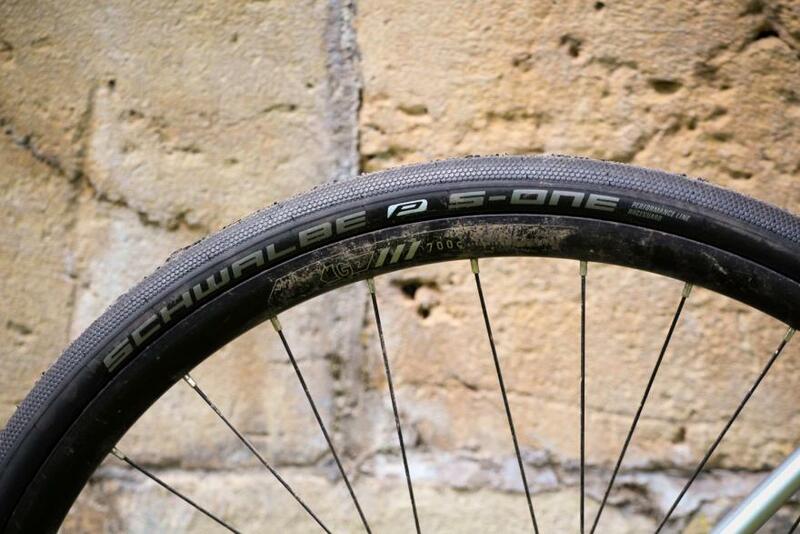 The Schwalbe S-one 30c tyres are nice and confidence inspiring on bad urban roads with concrete gaps and drain covers with slots, etc. Makes for a fast brash commuter. With lower pressures required you can unleash your hooligan without worrying about pinch flats and bent rims. 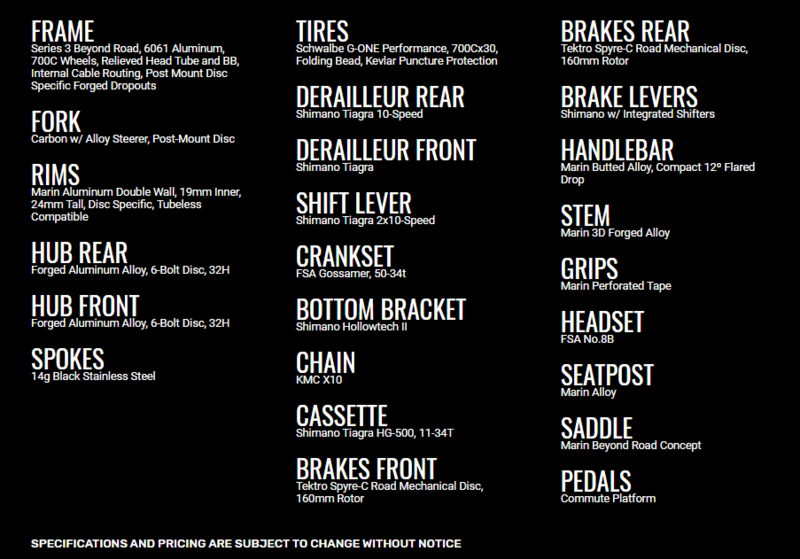 The front fork has clearance for 35c tyres at least. The rear end has some room after 32c tyre fitted so you can put a 35c that’s the limit. But then you’d struggle with fenders. Affordable sturdy bike with no fuss 1x drivetrain that’s good for bad roads and a bit of dirt. Unived RRUNN Pre Workout Review: A Must for Every Athlete!